Also during the visit to the Sacred Valley of the Incas we will see the Cochahuasi Animal Sanctuary, it is the only zoo which keeps the famous Andean bear of the Machu Picchu Mountain; we will also see the Condor, the second world’s biggest bird, also the puma or wild cat and many other animals. 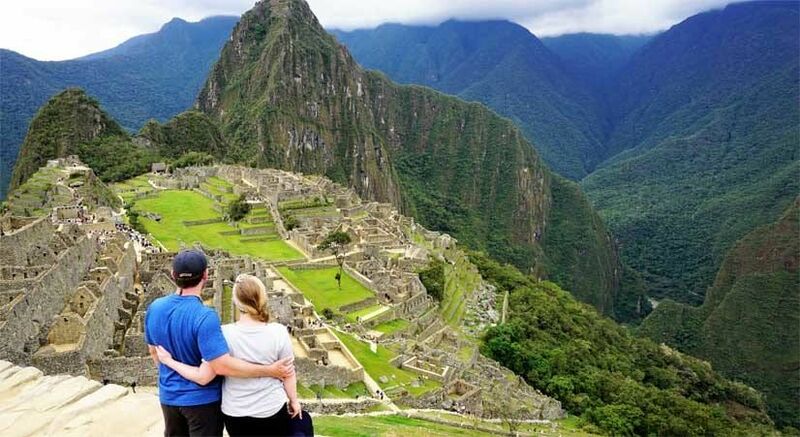 Along the Sacred Valley visit we will visit Pisaq archaeological site, Pisac local market, Maras Salt Mines, Moray Inca agricultural experimentation center and Ollantaytambo fortress until reaching finally our greatest destination: Machu Picchu. If any of our visitors are interested in hiking the Huayna Picchu or Machu Picchu Mountains, we advise them to book at least with 2 months in advance or at your booking time. Sightseeing, guided visits, culture, history, shopping and more. 1 night at 3 stars hotel in Aguas Calientes. (if any of our client want to get 3* hotel or 4* star hotel contact us please or if you have one let us to know please. Day 01: Half Day City tour. 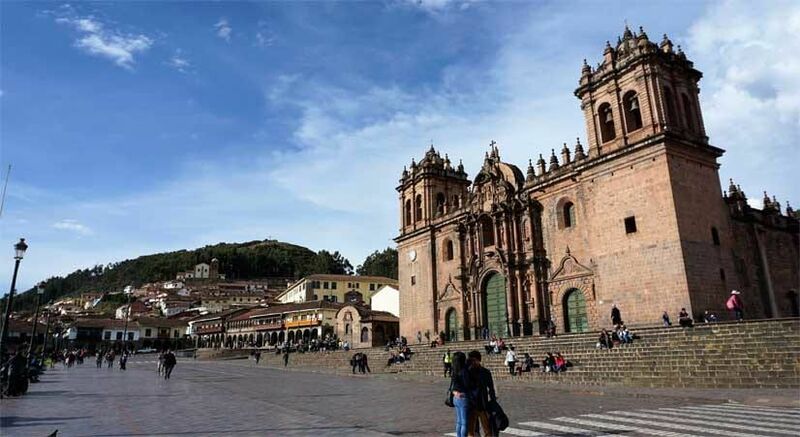 Today we will pick you up from your Cusco hotel at 13:00 pm approx. our professional and experimented guide will lead you in our private transportation to Qoricancha Temple (Sun’s Temple) which you will visit for 1 hour, then you will be transferred by our transport for about 10 minutes to Sacsayhuamán Archaeological center, here your guide will explain you about this ancient Inca fortress in which you will have a panoramic view of Cusco City and appreciate its Puma shape. Afterwards you will board our vehicle for another 10 minutes to the archaeological sites of Tambomachay, Puca Pucara and finally Qenqo. Our services end by 17:30 pm approx. returning to your Cusco hotel. Maximum Altitude: 3300 m.a.s.l. / 10,800 fts. Day 02: Full Day Sacred Valley Tour – Aguas Calientes. Today we will pick you up at 07:30 am from your Cusco hotel and board our transportation, after a 45 minutes ride we will reach Cochahuasi Zoo in which we will see the most exotic animals of Cusco region like llamas, alpacas, bears, pumas, parrots, monkeys, condors, falcons and more. This visit will take 1 hour approx. 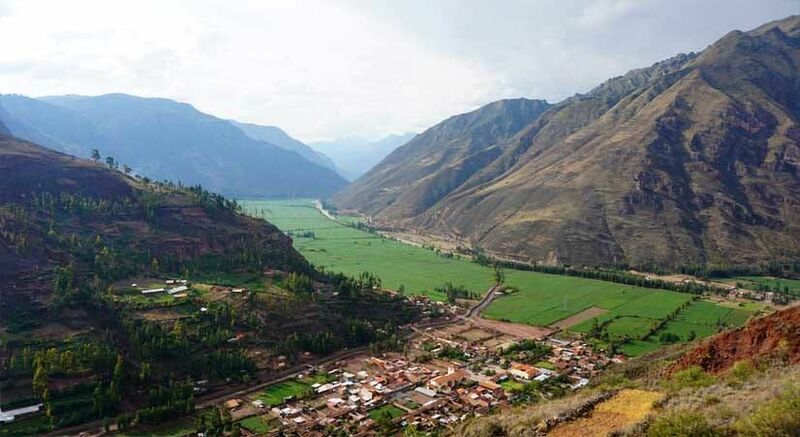 afterwards we will head to Taray viewpoint to have the most privileged and panoramic Sacred Valley view. Then, we will reach Pisaq archaeological site in which you will have your guided tour. Later we will board our private transportation and drive to Pisac typical market to better enjoy the handmade textiles which are processed organically. Finalizing this visit, we will head towards Urubamba (Sacred Valley’s Capital) here we will have our lunch which we recommend to choose the buffet option. Following lunch, we will visit the natural salt mines of Salineras, the Inca agricultural experimentation center: Moray and finally we will finish this amazing tour in Ollantaytambo archaeological site. We will have dinner in this lovely town. After dinner, we will board the expedition train to Aguas Calientes arriving by 20:30 pm approx. upon your arrival you will be accommodated in a 2 stars hotel. Climate: Sunny during dry season. Cold, windy and cloudy and rain during rainy season. Day 03: Aguas Calientes – Machu Pichu – Cusco. Once you had concluded your visit to this impressive archaeological site, you will board the bus down back to Aguas Calientes and from here direct to the train station accordingly to your train schedule. Board the train back to Ollantaytambo train station, upon your arrival our transfer will be awaiting for you holding a pancart with our company’s logo and take our return transportation back to your Cusco hotel. Round trip turistic train service. private walking tour at machu Picchu. 3*** start hotel at Aguas Calientes town. we provided you walking poles for Machu Picchu. students from 12 to 17 years old, they get discount of $30. children from age of 2 to 12 they get discount of $40. you can do a deposit in our Bank account at Interbank.